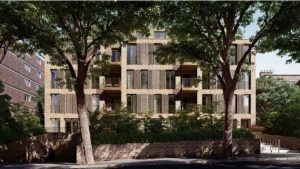 We thought it might be useful to share a snapshot of significant current residential developments in Crouch End. What’s going up – and where? As you may well have heard (if not, where have you been? 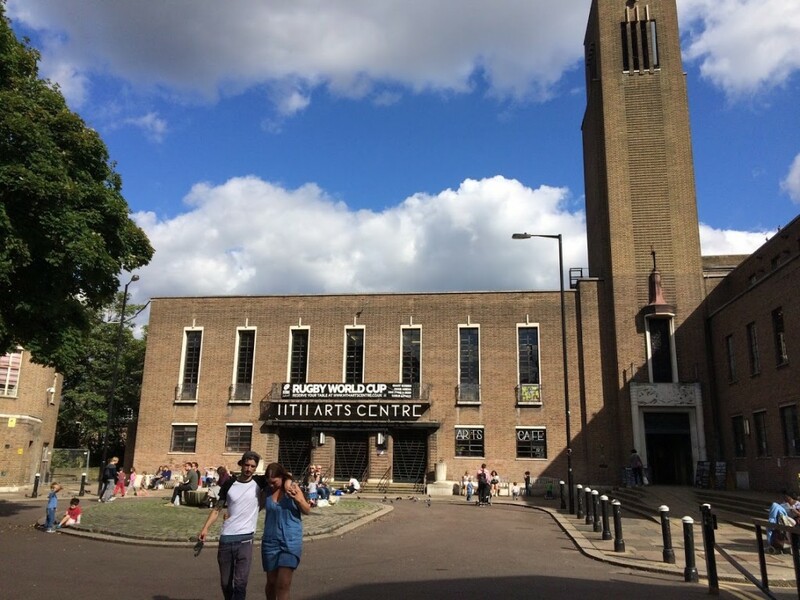 ), Crouch End’s largest and most contentious development is the Hornsey Town Hall site, 146 new flats, 11 at affordable rents, with a mixed scheme of hotel, restaurants, bars, workspaces and venue. The site includes the Town Hall Square. 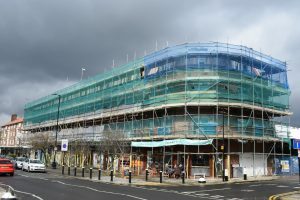 Construction is due to commence in the summer and last for 2 years (we’ve covered various aspects of the development, click here for articles). If it wasn’t already happening this would be our main candidate for a site allocation. 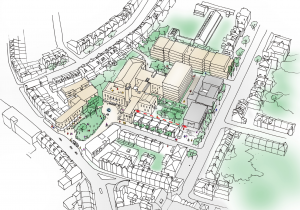 As it is, it’s happening piecemeal – with ‘town centre’ uses, including cinemas, retail and commercial space. It’s instructive that after spending so many years undeveloped the buildings are rising now. 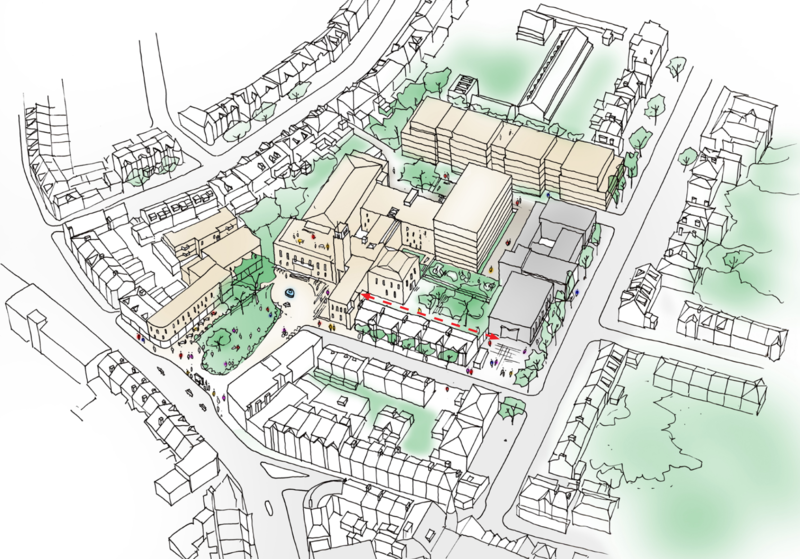 Perhaps the fragmented nature of the site may not be a bad thing either – the new generic blocks are interspersed with (undesignated) assets of character such as the Arthouse and the ex-Hornsey Journal building. 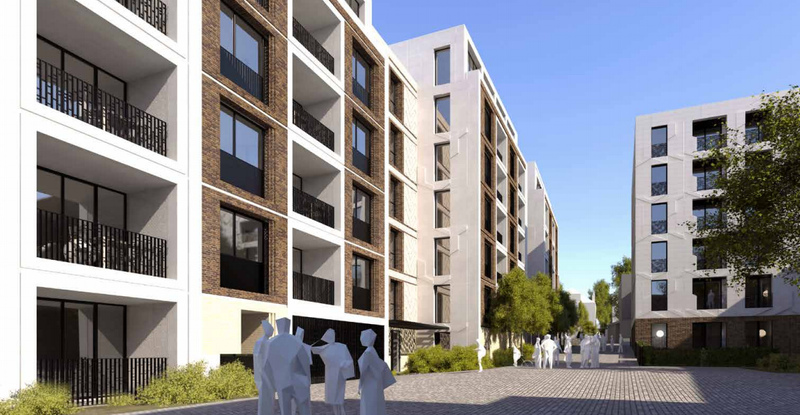 Below, as it will look – from the left, no.159, 20 units with retail (on hold? ); Arthouse Cinema; no.161 Hornsey Journal, 9 units including 3 houses & retail; no.163 Kwik Fit & MEB Motors, becoming 26 flats & retail (planning app here); Picturehouse Cinema. Altogether 55 new flats (affordable is off-site). 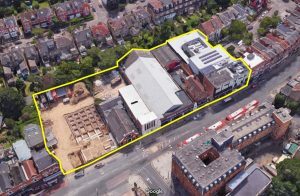 This area was identified by Haringey as a ‘site allocation’ in their Local Plan, with an indicative capacity of 50 units – at the back it’s currently a collection of commercial units, the floorspace of which we would like to retain. 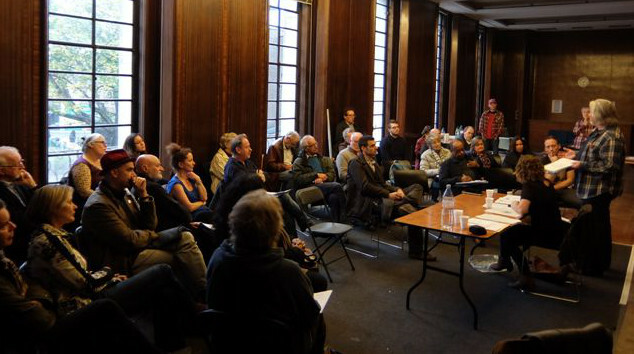 We’re informed pre-application discussions have taken place with the planners. 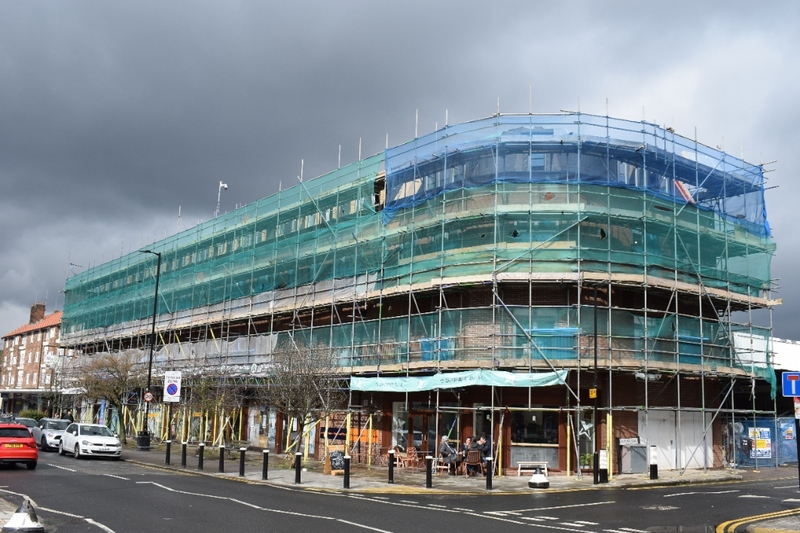 The present construction work is limited to the western section along Park Road, Orantez House, where two extra floors of 9 flats are close to completion. Behind Coulsden Court. Demolition began a couple of weeks ago. A backland development of an ex-commercial workshop, given up for residential though retaining some office floorspace. 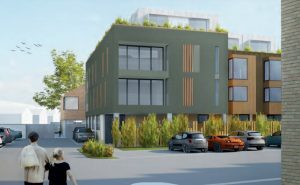 A link to the planning app is here, they’re building 4 new houses and 5 flats. Due to start shortly, it extends the ex-funeral directors, ex-Hogshead pub, currently Evans Cycles building on Crouch End Hill (between the Railway pub and Exchange House). The link to the planning app is here, 7 new flats and an architecturally undistinguished addition to an already undistinguished streetscape. 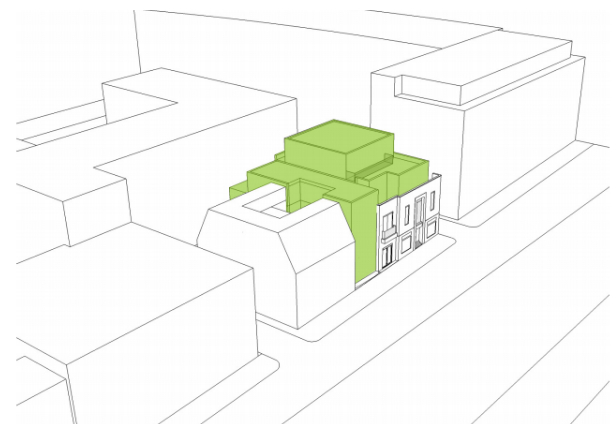 An extra floor and upwards expansion of existing flats in the town centre. The current building is joyless late 1960s, a detractor from the Conservation Area, so perhaps all the promised red zinc cladding will improve it (or, on the other hand, not). The planning app is here. Approved, but still awaiting a signature on s106 planning conditions. 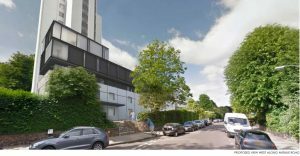 This development sees the demolition of a surviving Victorian villa (one of the few on that stretch of Shepherds Hill) – not without controversy. 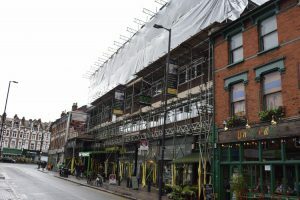 It’s due to be replaced by a 16 unit block of flats. Planning app here. Still in the planning system this one, awaiting decision. 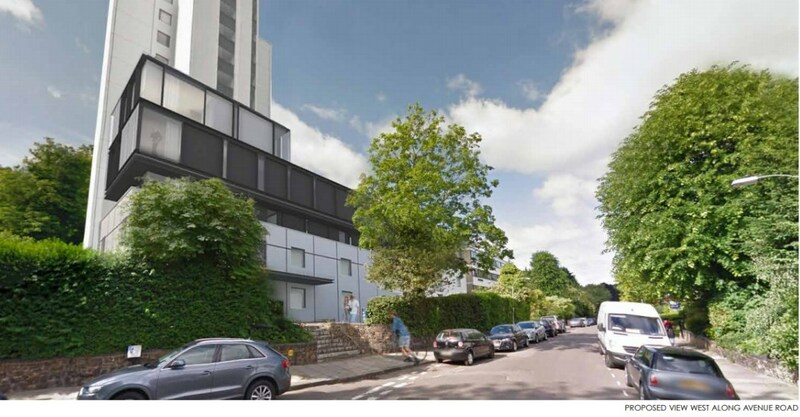 Avenue Heights is the sixties tower block at the end of Avenue Road (built in 1964 originally as sheltered accommodation for elderly Jewish refugees), but this only affects the lower horizontal block at the roadside. The proposal is to demolish the existing 2 storey structure and rebuild it in facsimile to carry extra floors, up to 5 storeys high in total. If approved and built, the current 10 flats in this building will become 17. Planning app here. More of a heads up about a future development. We’re told that pre-application discussions are currently underway with Haringey’s planners for a development described as – “Retention of church and creation of additional community space and 15 residential units”. 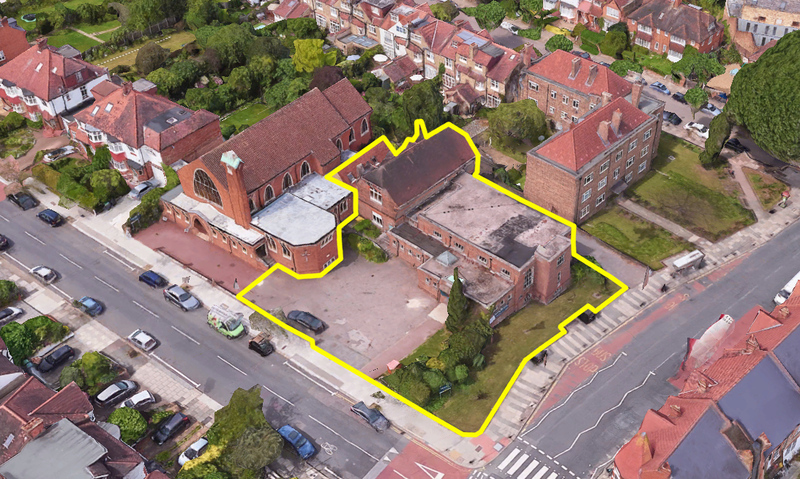 No further detail known, but you have to assume this implies the demolition and replacement of the existing church hall (the yellow line is pure speculation).